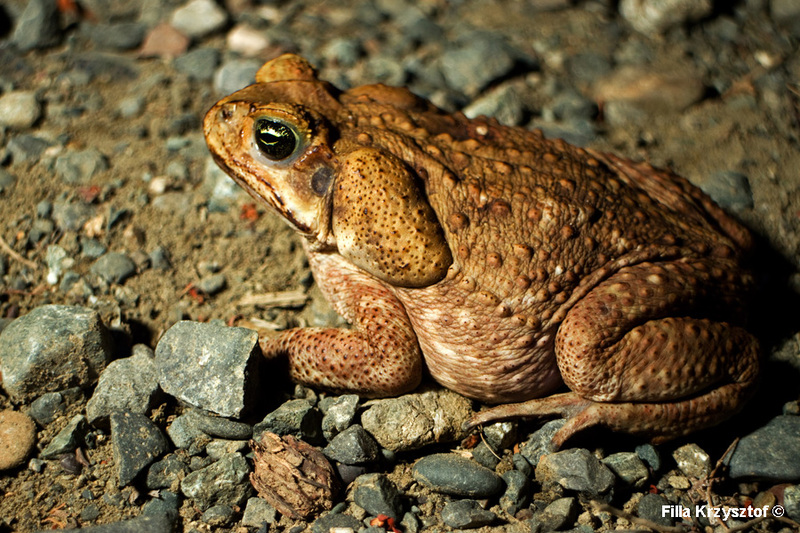 The cane toad (Rhinella marina), also known as the giant toad. This toad is very adaptable to a new environment and it is wide spread across central and south America. It can make living from 0 to 1600 m.above sea level. The females are larger than males and can weight up to 1.5 kg. Their skin is lethal in contact and contains enough toxin to kill an adult person.